Totana.net - Carmen Romero Ballester, winner of the III Contest "Recycle and Win"
Carmen Romero Ballester, winner of the III Contest "Recycle and Win"
Carmen Romero Ballester has won the III Contest "Recycle and Win" which was held within the awareness campaign for source separation "We separated well, recycle better," which promoted the departments of Environment, Waste and Urban Education Environment, in collaboration with the company "Ecoembalajes Spain, SA". The prize was a one night stay for two people in a three-star hotel spa in the region of Murcia, in full board, which should be used for the rest of the months December or January or February. 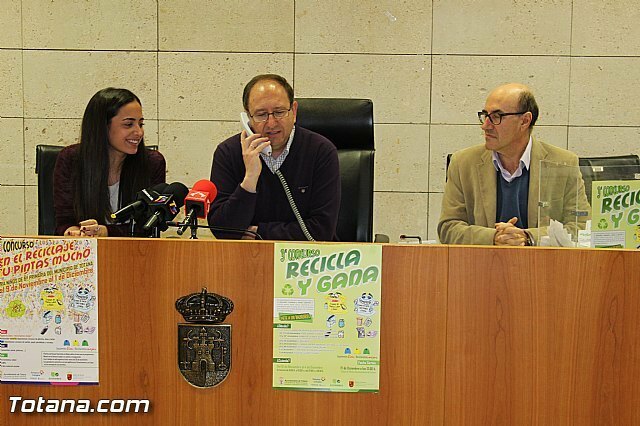 This campaign was conducted during the months of November and December and has allowed the installation of information green dots in different places of the town of Totana, where citizens have taken their waste bag (light packaging and / or paper-board, respectively ). 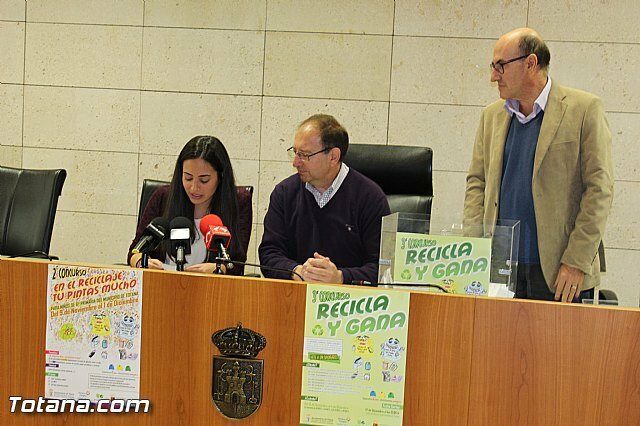 The aim of the competition was to encourage citizen-source separation of waste from light packaging and waste paper and cardboard for subsequent deposit in the recycling, that is, in the yellow and blue containers, thus achieving greater involvement citizen in the culture of recycling. 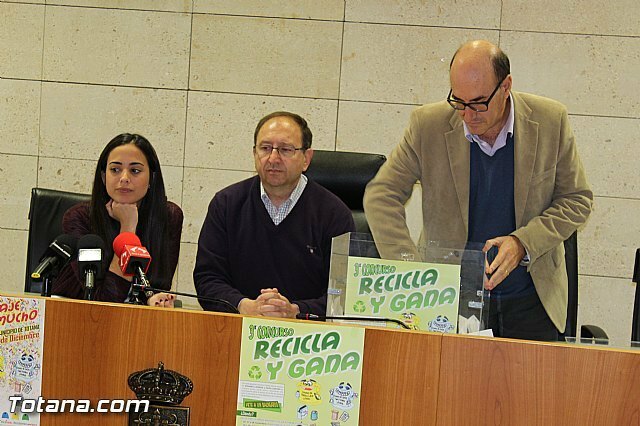 In addition, the campaign has sought to convey the importance of responsible use of limited environmental resources by adopting behaviors and sustainable habits with the environment, and promote a positive and critical attitude leading to a reduction in waste generation and learn the correct separation of packaging for recycling. 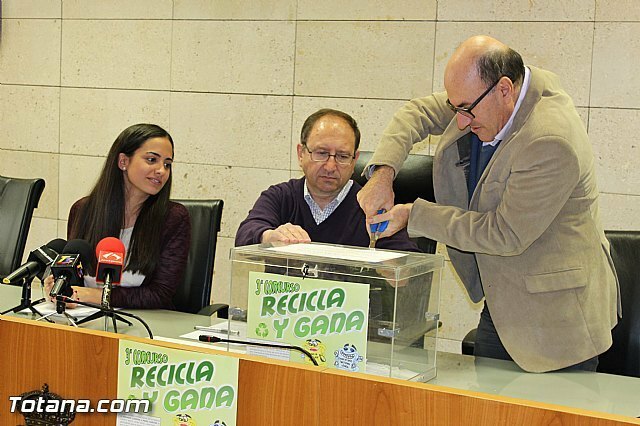 The initiative was the idea of â€‹â€‹rewarding the effort that many users from home separating their waste plastic containers, cans and cartons, and cartons, paper, newspapers and magazines, and later putting them in the container. For the contest participation card gave everyone that went to the Green Dot mobile (assembly formed by the mobile information point and 4 PIM containers, 2 yellow and 2 blue) with their waste and deposit them correctly. This card, duly completed, with your name and telephone number, must place it in a ballot box where the cards of participants who have now chosen to draw was collected. During this period, an environmental educator has guided users in the PIM, placed in the parts of town chosen for this purpose, and which had been reported to the public before. Next to the PIM two containers (yellow and blue), in which the participant deposited, as appropriate and under the supervision of the environmental educator, were located their waste bag (light packaging, paper and cardboard). Subsequently, environmental educator handed a card of participation that was filled with personal data which is introduced in an urn. In addition, each participant is regaled with a raffia bag in yellow or blue, to separate their packaging waste paper or cardboard. 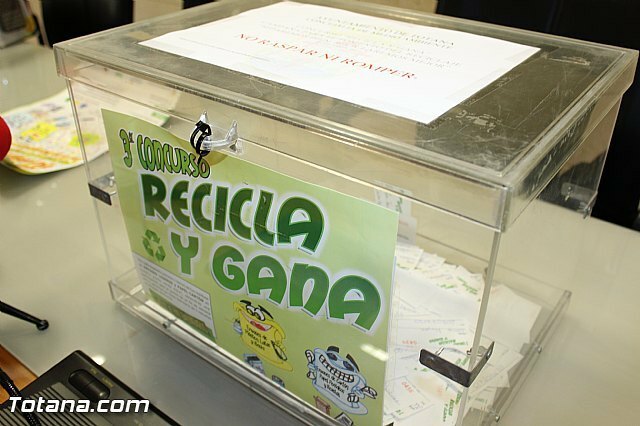 For each deposit (minimum one bag) of waste lleaba to our container, the person had a ballot of participation, totaling more than 400 participants this year. and also he not told that two bags were carried on the same occasion. In addition it is also regaled with a yellow bag raffia or blue for the neighbor pick their waste at home. The prize is a one night stay for two people in a three-star hotel spa in the region of Murcia, in full board.